SocialTimes chatted with Kriti Kapoor, HP's director of social customer care, during Dreamforce to talk about how brands big and small can improve how they deal with customers via social. Gone are the days when a disgruntled customer would dial a 1-800 number or go down to your local store to air their grievances or seek resolution. Now they’ve got Twitter and 140 characters of anger. 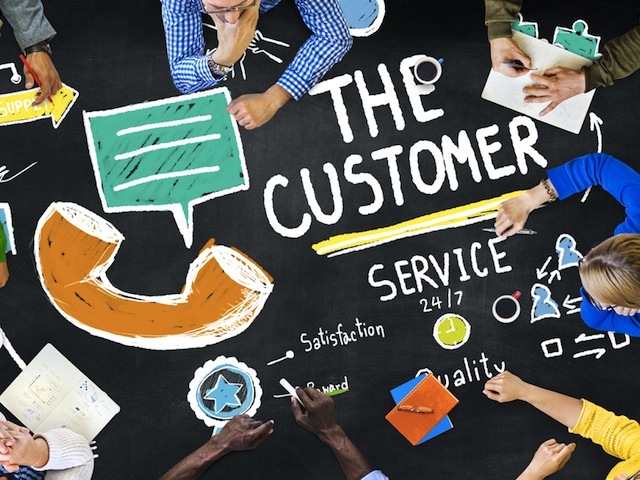 Is your company on top of its social customer service game? SocialTimes chatted with Kriti Kapoor, HP’s director of social customer care, during Dreamforce to talk about how brands big and small can improve how they deal with customers via social. HP, a Salesforce Marketing Cloud client, has 40 million followers across all of its social channels, and more than a few non-followers who use social media to get an answer about a malfunctioning printer or a slow computer. Ignoring these complaints could mean a loss of repeat business, so finding the best way to respond makes great business sense. What’s the biggest lesson Kapoor has learned? People want to hear from brands on the platform where they contacted them. Too often, companies will respond to a query on Facebook or Twitter by asking the customer to call them or email them about the issue. Customers would prefer to use the channel that they came on. If I’m on Twitter and I reach out to you on Twitter, I don’t want you to take me somewhere else. I would prefer if that query or customer experience, and that transaction and that help that I’m looking for, gets done in the channel that I reached out to you. Having said that, not all problems can be solved over Facebook or Twitter or WeChat or Sina Weibo. In addition to customer support forums, HP launched a Twitter account in 2009, a Facebook page in 2010 and last year founded presences on WeChat and Sina Weibo. We’re going where customers are going and having conversations about our brand. We want to make sure that from a support standpoint, even with the marketing team, that we are joined at the hip and we respond to customers where they are. Brands aren’t the only ones figuring this out. Both Facebook and Twitter have made big strides this year to eliminate the “call us/email us” problem. Facebook has opened up messaging for pages, allowing page admins to contact commenters via message to resolve an issue. Twitter has lifted the 140-character limit on direct messages, allowing for a more open private dialogue. Kapoor said that many of these features are advantageous to small businesses, who can quickly engage with customers. She also noted that small businesses can still connect with customers without a major ad budget or a staff of customer service reps. The first piece of advice I’d give (to small businesses) is show up. Whether you’re a small business or a large business, this is the way business in the modern world is being done. Word of mouth is the most powerful tool that exists, from a marketing standpoint. If you’re not having a conversation with your customer about your brand, they’re still having a conversation. You just have to run a search on Instagram, and you can see what happens, or run a search on Pinterest. It’s all about a social sharing network. Readers: What lessons have you learned while responding to customers on social?